We believe that chemistry plays a critical role in developing a sustainable future. Chemists have a special responsibility to develop those new products, resources and processes to make that happen. The Elsevier Foundation Green and Sustainable Chemistry Challenge seeks to stimulate innovative chemistry research that helps the environment and low-resource communities. Over the past decade, the Elsevier Foundation has awarded over 100 grants worth millions of dollars to non-profit organizations focusing on the world’s libraries, nurse faculties and women scholars during their early and mid-careers. In 2016, we worked closely with our advisors and colleagues to launch a new series of partnership-driven programs focusing on global health, research in developing countries and a broadened approach to diversity in science. We have learned a great deal from our 2006 – 2015 cycle of programming and are pleased to share some of the highlights and lessons learned along the way. Q: How is the Elsevier Foundation funded? 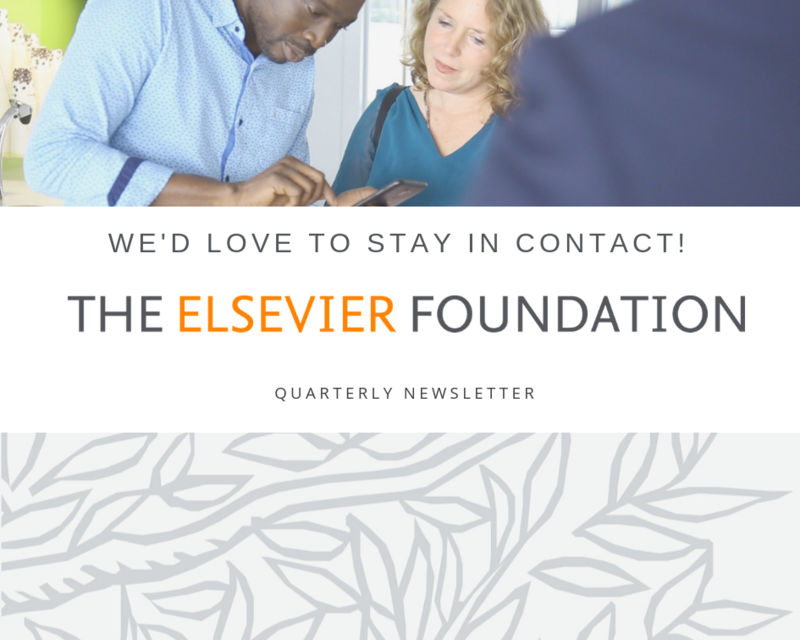 A: The Elsevier Foundation is a corporate not-for-profit 501(c)(3), funded by Elsevier, a global provider of scientific, technical and medical information products and services. Q: When is the next Call for Grants? A: The Elsevier Foundation has adopted a partnership driven approach to our new 2016 – 2018 program cycle. While we have diverse challenges and award schemes with our partners, we no longer have open calls for proposals within our Innovative Library and New Scholars programs (2006 – 2015).